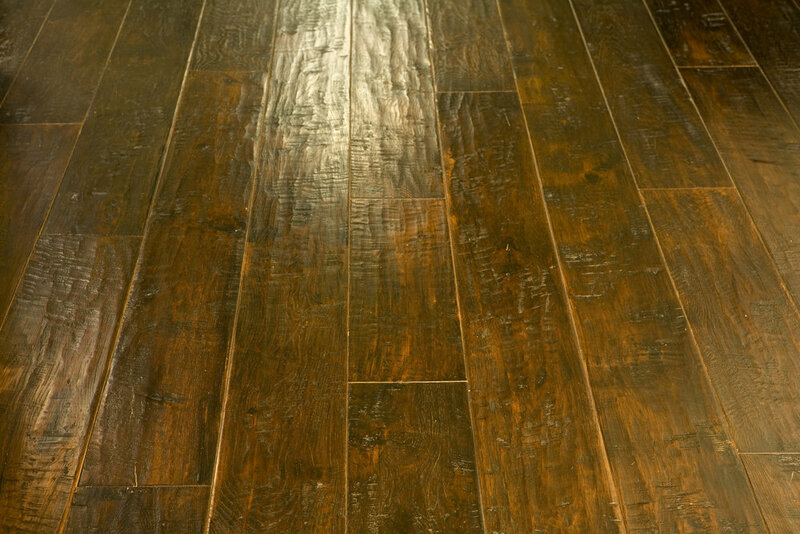 Stunning Premium-grade White Oak from our Signature Line. Custom thickness, custom handsculpted, custom color, custom width and length. Whew! Oh - and applied to removable steel and cement panels to create an Access Floor. Pretty far from normal, but then we’re not a “normal” wood flooring company! Savant Construction, a leading builder of shopping centers and grocery stores, chose Thomas Benjamin for their new corporate offices in Chino, CA. 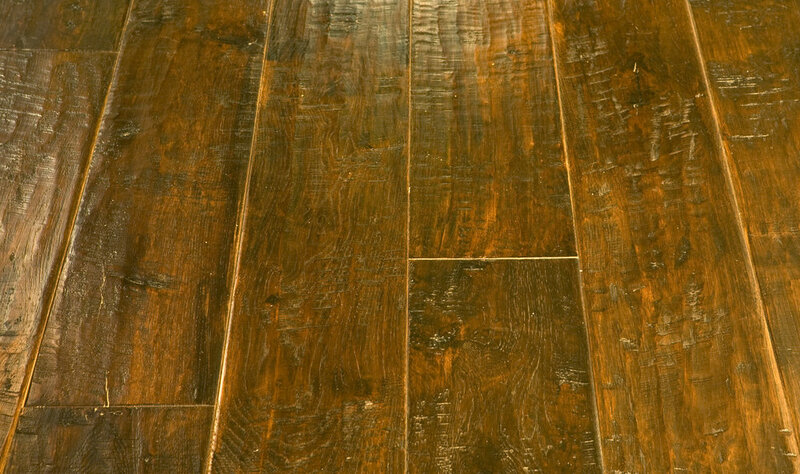 They picked our Rustic Hickory in our Signature Color 6007, added our Hewn Handsculpting, and for good measure asked us to make it in 3/4” solid instead of the standard 5/8” engineered. No problem! Super cool 8” x 48” Hickory herringbone to match TB Signature Color 6007 in the corporate offices of Newfield Exploration in Houston. 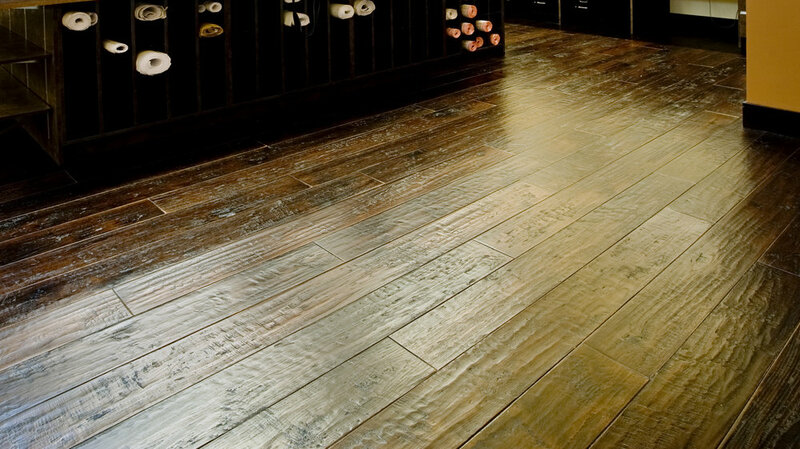 Thomas Benjamin can make any wood floor you desire! Stunning Premium-grade White Oak in a custom color developed in coordination with the client’s designers. 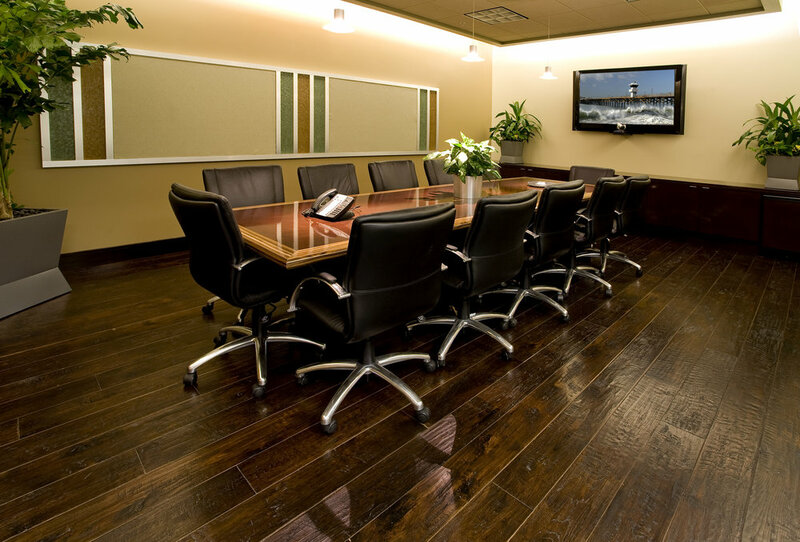 Thomas Benjamin Architectural Flooring is a rather unique wood flooring company. Large enough to have the manufacturing capability to produce nearly any size job, yet responsive and connected enough to be able to adapt, create and execute your project, even if it doesn’t fit neatly into a predetermined “box”. 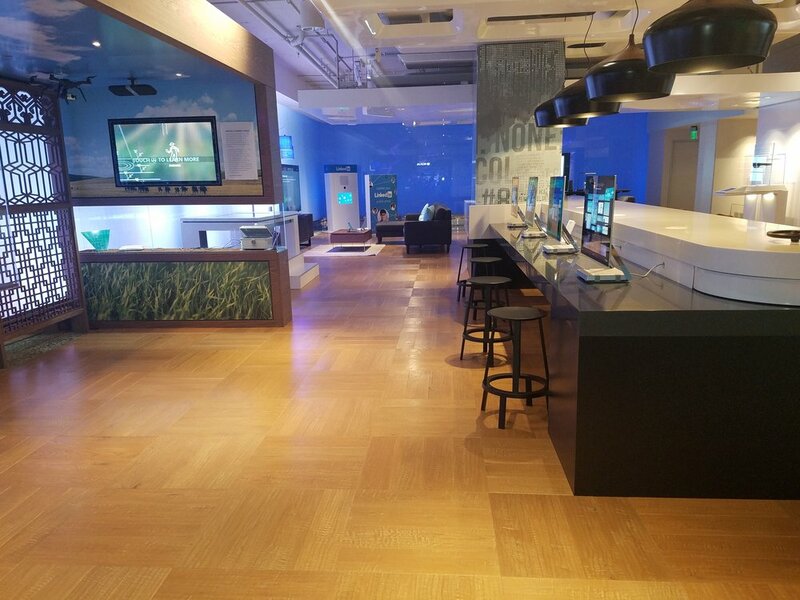 Our experience creating the Access Floor for the Microsoft Visitor Center is a perfect example. 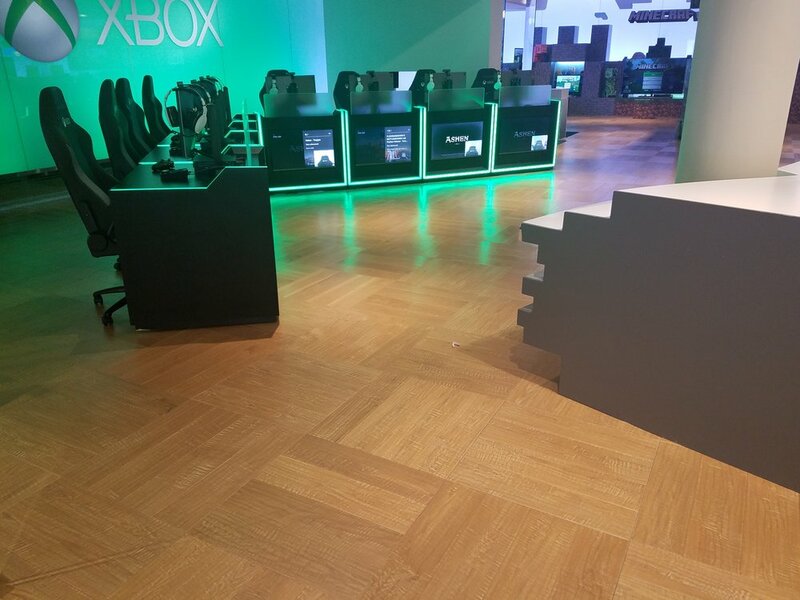 The architect contacted us on behalf of Microsoft. 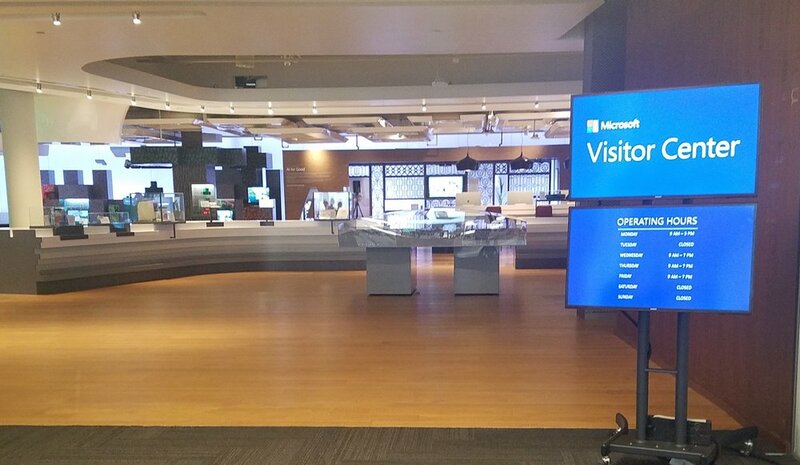 The MS Visitor Center in Redmond, WA was being remodeled, and the decision had been made to install wood flooring to coordinate with existing flooring in an adjacent space. 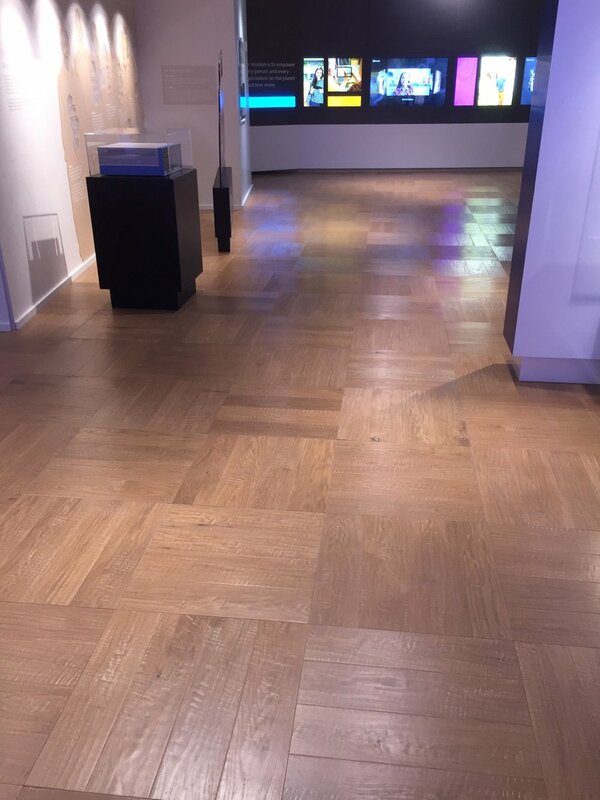 The challenge was that 70% of the new floor needed to be installed as an “Access Floor”. An Access Floor is a raised floor that provides an elevated structural floor above a solid substrate (often a concrete slab) to create a hidden void for the passage of mechanical and electrical services. This is not commonly done with wood, as the tolerances are quite tight and all of the panels, which must be removable, have to fit nearly perfectly. 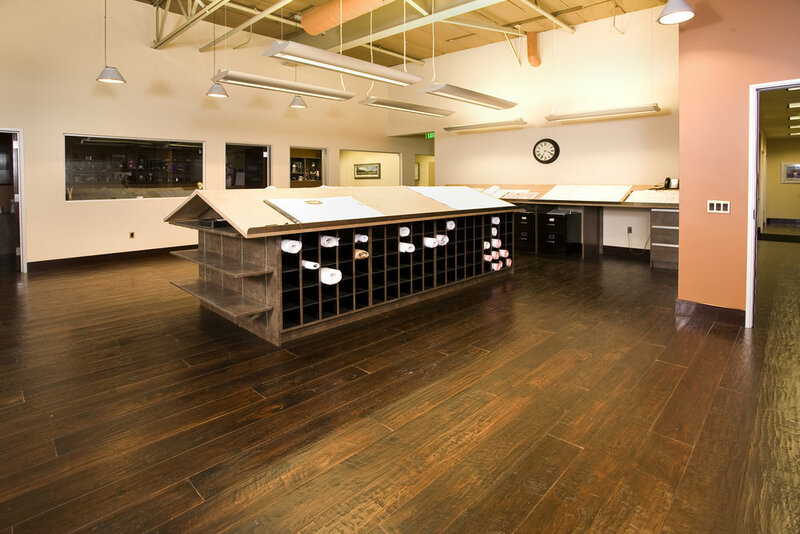 We partnered with the flooring contractor in Seattle, and together we figured out how to make it work. TB personnel spent several days in Seattle working with the contractor, developing the application and fitting process for applying the wood to the access panels, and refining the specification. Then the project was handed over to the TB factory, who was tasked with precision manufacturing the wood components, which were hand-distressed and custom-finished. The focus then passed back to the contractor, who adhered the wood to the panels and fitted them into place, along with crafting a rather tricky ramp area. What’s more, this was all accomplished in a period of less than six weeks in order to meet the Visitor Center opening schedule. This was not an easy project, but the results speak for themselves!